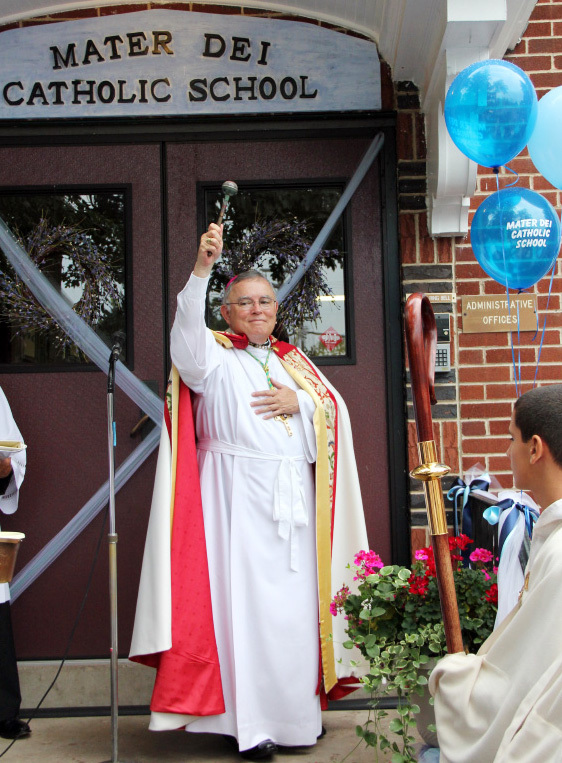 On Thursday Sept. 6 Archbishop Charles Chaput led a prayer service and blessed the new Mater Dei Catholic School at 493 East Main Street, Lansdale PA. Mater Dei Catholic School is one of the new regional schools of the archdiocese. It is formed from the mergers of Saint Rose of LimaSchoolin North Wales, St Stanislaus School in Lansdale, and part of Saint Maria Goretti in Hatfield. Students processed from the new school to Saint Stanislaus Church let by 8th grade student Mary Katherine Burger carrying the new school banner. 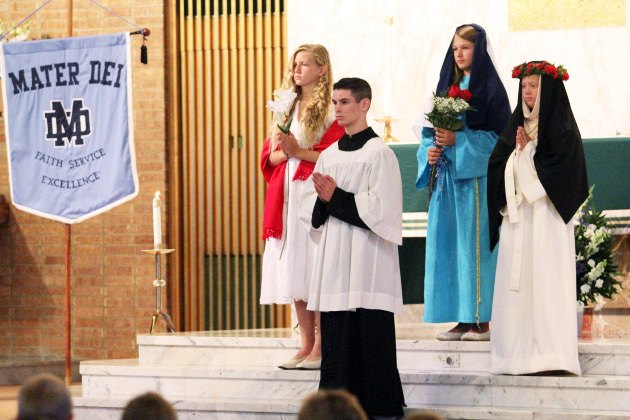 At the beginning of the service students dressed as Saint Rose of Lima, Saint Maria Goretti, Saint Stanislaus (from their respected parishes), and Mary placed roses before the Blessed Mother statue as a symbol of their merger. During his homily Archbishop Chaput invited five students up to help him explain the meaning of the new school and their motto.